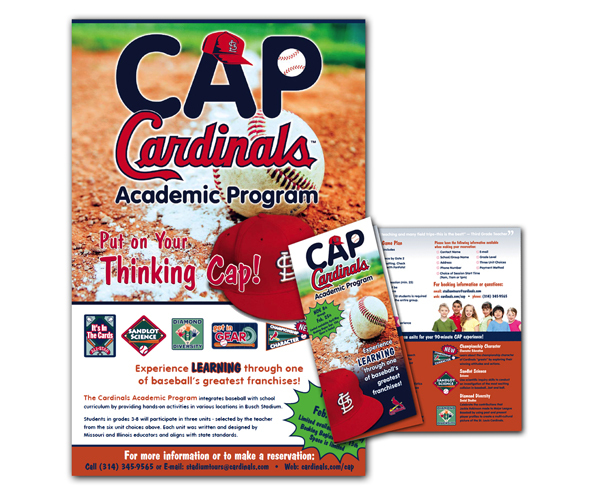 The Cardinals Academic Program (CAP) is a program designed to create “an experience” for students and educational instructors by combining the excitement of major league baseball with curriculum-based activities outside the classroom. Traditional subjects such as physical education, fine arts, geography and math are taught through such CAP units as; All Star Anatomy, Carved In Stone, Cardinal Directions, Go The Distance, Get In Gear (just to name a few). Educational instructors choose three units to participate in from the six units offered. They also have the opportunity to add on other options such as stadium tours and field photos. 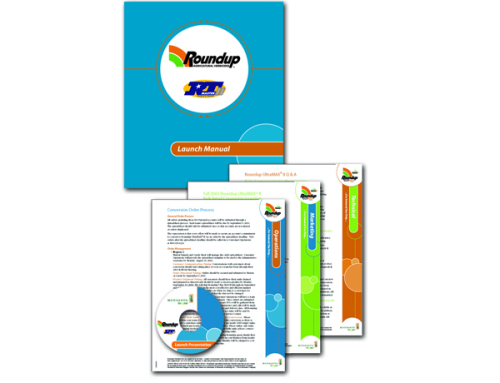 CAP materials include: the CAP program logo and all unit logos (15+), poster, brochure and folder. Each unit has its own unique support materials such as board games, life size cut-outs, wall posters and floor puzzles. Creating marketing materials that appeal to the students who attend the program (ages 7 to 14 years of age) and the educational instructors who make field trip decisions for their organizations. Creating graphic design standards and a “brand” for this very unique program, while still staying true to the St. Louis Cardinals graphic standards. 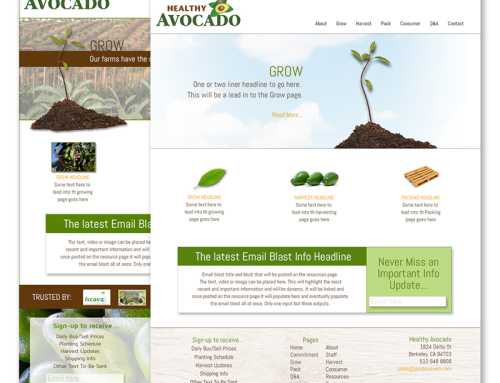 The materials use eye-catching illustration and color scheme that appeals to a wide variance of ages. The fonts are different and fun yet not “goofy” as to appear “too young” or “uncool” for the older segment of attendees. The color scheme for this program utilizes many of the same colors included in the Cardinals graphic standards. 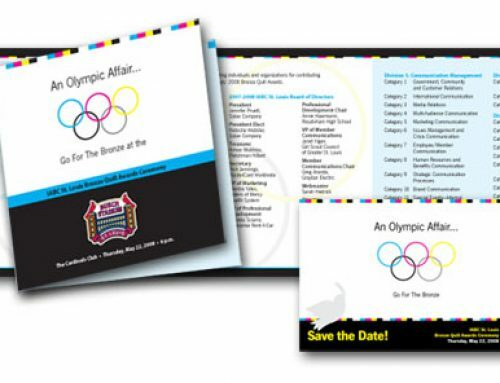 Other unique colors were added to give the program a fresh and unique style. These additional colors are complimentary to the original Cardinals’ graphic standard colors and are in the same color family. The budget challenge was to make the CAP program self-sustaining within two years of its inception and to turn a profit no later than the third year. For this reason the budget was extremely tight. Excellent time management skills by s571 and the Cardinals staff assisted in creating the materials as efficiently as possible. Initial start-up meetings, brainstorming and timelines were established at the beginning of the project created an efficient use of time and resources and therefore exceeded budget limitations. S571 was responsible for coordinating the creative process including conceptual design, production and print coordination for all initial materials. S571 is continually responsible for creating new unit logos and unit materials and refreshing the marketing materials each year.